Intelligent design – from the individual developments, to the townships, to the city – prime for 21st century cosmopolitan living. 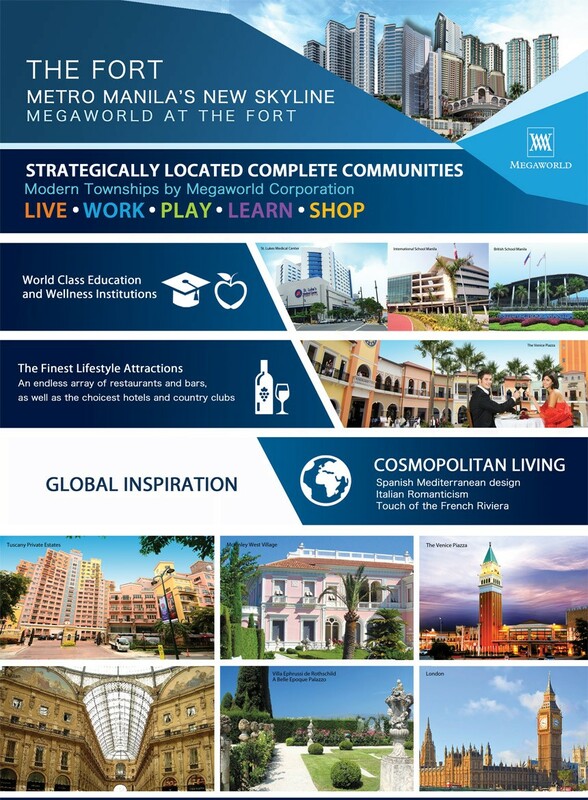 Megaworld collaborates with the best architectural minds in the country (and soon the world), to produce elegant and functional developments located in master-planned communities. All developments adhere to standardized building codes; Those at the Fort make use of globally inspired designs that uphold international standards of living, and push forward the boundaries of what is locally available. Megaworld’s township communities are built with systematized infrastructure, with underground facilities for water, gas, electricity and data service etc. The company’s communities also demonstrate strong commitment to the environment through active initiatives toward landscaped gardens, garbage disposal programs and unique green features in several of its residential projects. 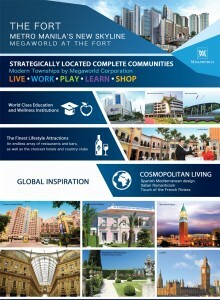 All this is located in the country’s first and only global city, Fort Bonifacio.